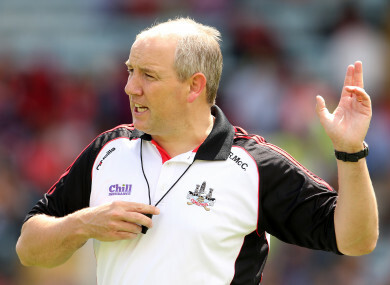 CORK’S FOOTBALLERS WILL field a much-changed side for Saturday’s McGrath Cup final. Having seen off Waterford 2-18 to 0-7 in new manager Ronan McCarthy’s first game in charge last weekend, the Rebels meet Clare in Mallow (4pm). Eight players come into the side with Ryan Price replaced by Clonakilty’s Mark White in goal, while Sam Ryan, Padraig Clancy and Cian Kiely are called up to start in the backs. There is a new midfield pairing as Jamie O’Sullivan and Daniel O’Callaghan get the nod with Ian Maguire dropping to the bench and Mark Collins switching to full-forward. Elsewhere in the forward line, Sean White, Kevin Crowley and Michael Hurley are all included. Email “Cork ring in the changes for McGrath Cup final with the Banner ”. Feedback on “Cork ring in the changes for McGrath Cup final with the Banner ”.